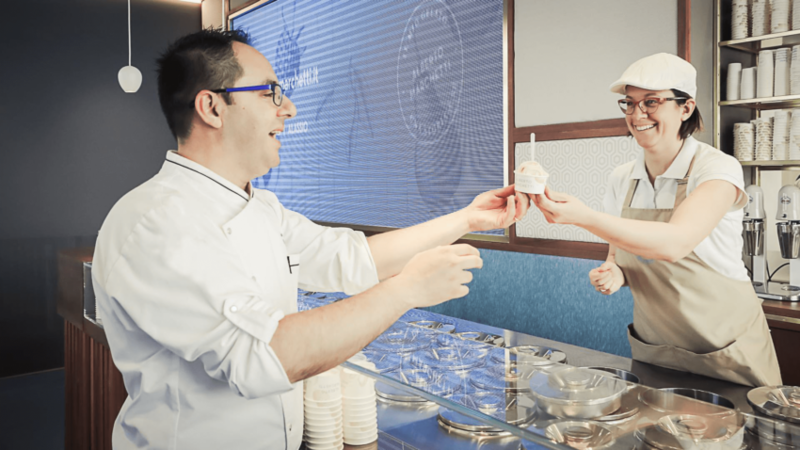 For Fatamorgana head chef Maria Agnese, gelato isn’t just a dessert – it’s a lifestyle. Since the age of five, this passionate chef has been perfecting her gelato recipes. She specialises in unique flavours, especially compared to other parlours. For example, basil or gorgonzola! The successful chain is franchised in many cities. Fatamorgana also offers various ‘gelato for breakfast’ items – which we think are amazing! See the website for more. What to try: Pensiero flavour – pink grapefruit, candied lemon peel and ginger! For almost 20 years, this family-run gelateria has found the balance between ancient traditional flavours and new and exciting tastes. Each combination stays true to its Florentine roots, though. They also focus on being competitively priced! 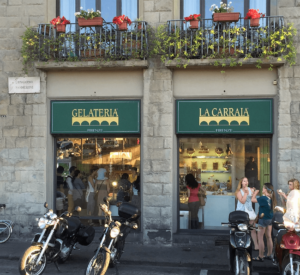 You won’t find a more authentic, artisanal gelato experience in Florence. These guys are the true craftsmen of taste! See the website for more. *Planning a trip to Florence? See our travel guide for inspiration! Did you know? Gelato isn’t simply the Italian word for ice-cream. It’s a whole other dessert! True gelato has more milk than cream (so less fat), is churned at a slower speed, is softer and denser in texture and has a more intense flavour. You won’t find fancy-pants flavour combos or convoluted fusion creations here! Massimo focuses on simple, but extremely good-quality natural ingredients and flavours. He works alongside Mirela, his production manager, and Alessio, his son. Together, they have developed an approach to gelato that is free from exaggeration. Their flavours are pure, seasonal, simple Italian deliciousness! The gelato is made fresh every day, and their sorbetti (sorbets) and granitas depict whatever is ripe and ready for harvest. See the website for more. What to try: Any one of their 10 different chocolate flavours! Spoleto might indeed be off the beaten tourist track, but you won’t regret the effort. Indeed, Gelateria Crispini was named the World Champion of pistachio gelato in 2017! What’s more, that was out of 1800 entrants. It’s not just some of the best gelato in Italy. They also offer Sicilian granita and artisanal frozen yoghurts, as well as gluten-free options. In other words, no matter what your diet restrictions, Alessandro Crispini and his team have something for you to enjoy. See the website for more. What to try: Other than pistachio? Go for one of the ice cream sandwiches! Our top tip: Gelato in Italy does come in a cono (cone), but it’s easy to forget how soft it is in texture. That means on a hot day you may end up with it all over you! Order it in a coppetta (small cup) to be on the safe side. Plus, you can fit more of it in a cup, anyway! 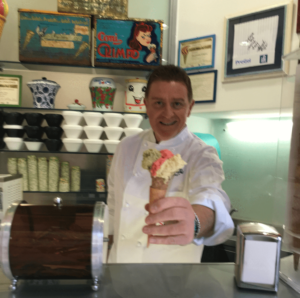 Alberto Marchetti and his team of experts strive for total gelato appreciation. That is to say, on every level. The first floor of their parlour includes a laboratory and warehouse where anyone can view their methods first-hand. They also display their raw ingredients throughout the shop. Marchetti’s passion for fresh ingredients and teaching customers about what they’re eating and where it comes from has led to close relationship with the famous Slow Food brand. The best part? 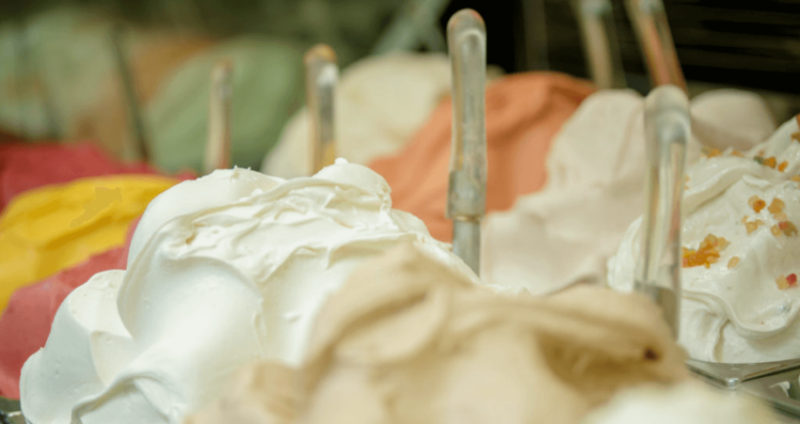 They offer gelato classes, where you can learn to make your own at home! See the website for more. What to try: The tiramisu flavour will have you coming back for seconds straightaway! Alberto Marchetti shows us one of his delicious creations. Of course, you’ll find many more authentic and talented makers of gelato in Italy, wherever you go. We suggest skipping lunch or breakfast altogether, and indulging in one of Italy’s greatest epicurean treats instead!